Next week’s federal budget is expected to make a significant investment in building up Canada's cyber defences and encouraging tech firms and talented programmers to work with the federal government, CBC News has learned. 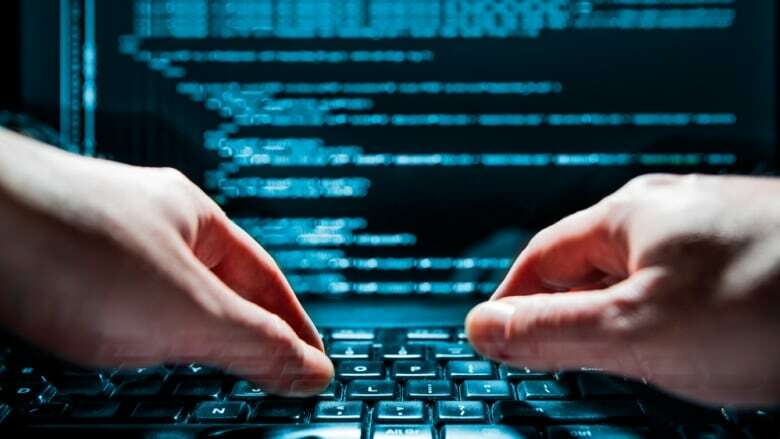 Next week's federal budget is expected to make a significant investment in building up Canada's cyber defences and encouraging tech firms and talented programmers to work with the federal government, CBC News has learned. Several government sources say up to $1 billion has been requested by federal departments to address a growing number of cybersecurity issues across multiple departments and agencies. Details about which departments will get funding and where the money will be spent are still being ironed out. Federal ministers will be briefed on the exact allocations on Sunday, said sources familiar with the requests across multiple departments. A major portion of the money will go to fund a long-overdue update of the National Cyber Security Strategy, first introduced by the former Conservative government in 2010. The revised strategy will not be in the budget itself. It's expected to be rolled out later this year by Public Safety Canada. But the sources, who spoke on the condition of anonymity, also told CBC News Elections Canada will get new money to safeguard against foreign interference in the 2019 federal election. The United States is still reeling from the effects of the 2016 presidential election, which the American intelligence community says was disrupted by Russian hacking and information influence operations. The budget of the Communications Security Establishment, the arm of National Defence which collects signals intelligence and helps protect federal computer networks, will get a boost. The agency is about to receive important new powers and responsibilities through the Liberals' national security legislation, C-59 — all of which will need to be funded. The budget also will include new funding to "train and retain" cybersecurity experts. Sources tell CBC the Trudeau government recognizes it faces a "talent crunch" in the high-tech sector, where Canadian programmers are being lured to the U.S.
Wesley Wark, a University of Ottawa professor and one of the country's leading experts on cybersecurity and intelligence, has not seen the budget proposals but said he expects Canada will follow Australia's example in training the next generation of cyber-professionals. Australia, which is Canada's partner in the Five Eyes intelligence-sharing community, established academic centres of cybersecurity excellence in universities to ensure graduates have the right skills and expertise. "What the Australians recognized in their context was that they needed to provide some kind of central focus and encouragement to ensure that kind of skills and talent pool was created for the next generation," said Wark. Meanwhile, there has been a lot of debate in Canada about how to leverage the military to address the cyber skills shortage and meet its own growing needs for people with sophisticated technical skill sets. Some cite Israel's practice of encouraging its former cyber-warriors to establish high-tech private sector consulting companies after they leave military service — which, in turn, can fill the government's cybersecurity needs. The Liberal government's recently-released defence policy talked about establishing a cyber 'special forces' contingent staffed exclusively with reservists — part-time soldiers — drawn from high-tech private sector companies. Many expect the budget will contain funding for cyber "co-development," something that could be rolled out through Innovation, Science and Economic Development Canada. Co-development would allow government institutions and agencies to work with Canadian companies to come up with cybersecurity solutions — both software and hardware — instead of buying off-the-shelf tech from the U.S. or elsewhere. Observers also expect the budget to include a line reference to a yet-to-be-developed national data strategy. The federal government apparently is concerned about the "sovereign protection" of data for both individuals and the commercial sector. In developing the strategy, the federal government plans to ask itself and Canadians questions about who owns the data on individuals and how that information is used. The goal is to make Canada more competitive in a world where data has become a valuable commodity. The Council of Canadian Innovators, which represents leading-edge companies, said it is eagerly awaiting the contents of the budget and, in a statement, underlined the importance of acting now. "Security and sovereignty are closely linked and building domestic capacity in cyber is critical – not an option, but what all advanced economies are doing," said Benjamin Bergen, the council's executive director. "We want to see a strategy that allows domestic cyber innovators to be at the centre of government's cyber strategy, that allows the government to buy more from Canadian cyber innovators, and that recognizes both the need to build up Canada's pool of skilled cyber talent, as well as keep this talent in Canada." Wark said a lot of the ideas are interesting, but warns people not to get too excited by the $1 billion figure, which he believes could be on the low side of what the federal government should be spending.